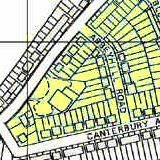 New Ideal Homesteads were the biggest and most successful developers working in North West Kent in the 1930s. They cut construction costs by using prefabricated materials and promoted their products and the finance that enabled their purchase vigorously. 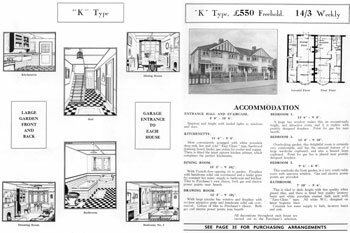 New Ideal Homesteads type K houses were the cheapest on the estate. They were also the smallest and their design neatly tricks a casual observer into seeing a pair rather than the quartet of properties in each block. 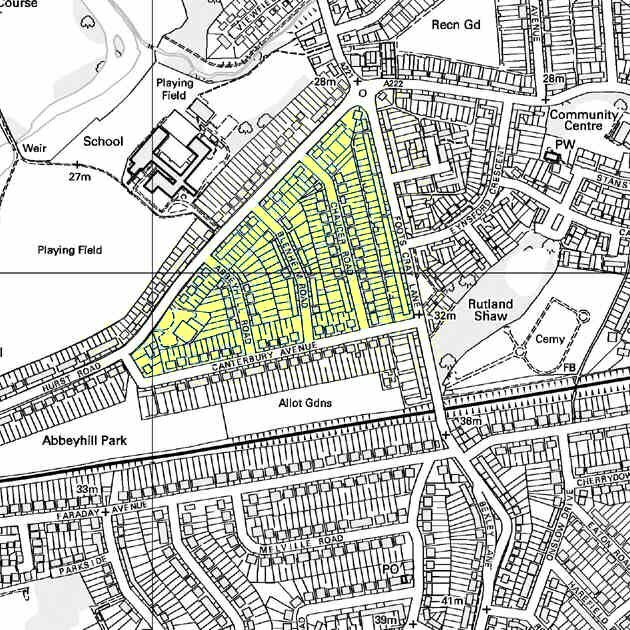 The Montrose Park Estate was built in the 1930s and is centred on Hurst Road, Sidcup. The Estate's name has no local link. Pages 26 and 27 from the Montrose Park Estate New Ideal Homesteads brochure published in 1933.